Barcelona – Motorola, now operated by Lenovo, has just announced two new additions to its G range – the Moto G5 and G5 Plus – at Mobile World Congress. The previous smartphones carrying the Moto G name have always been highly regarded for their unique features and affordable prices. And the new G5 instalment is no different. Top line specs include a 5-inch Full HD display, 13MP camera and 2,800mAh battery. There’s also an 8MP camera on the front for selfies and video calls. Take a closer look in our video below. The larger of the two handsets is the Moto G5 Plus, which offers a couple of more premium features. It has a 5.2-inch Full HD display, 12MP camera and 3,000mAh battery. Both phones are running Google’s most up to date operating system, Android Nougat, and they also have fingerprint scanner embedded in their home buttons, just underneath the screens. The new Motorola range is exclusively available to buy from Carphone Warehouse. 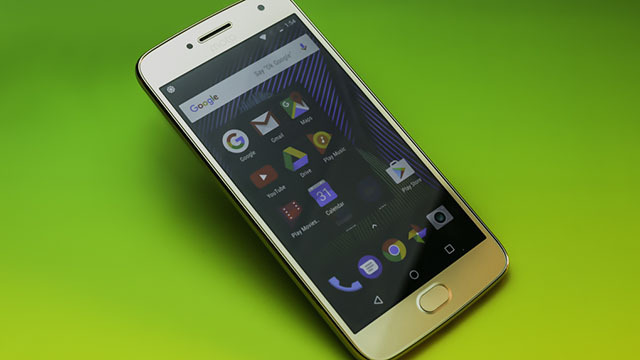 To make sure you get your hands on the Moto G5 or G5 Plus first, and the best price, follow this link to our website to find out more. We’re reporting live from Barcelona all day, so make sure you keep The Lowdown bookmarked, for all the latest mobile news.